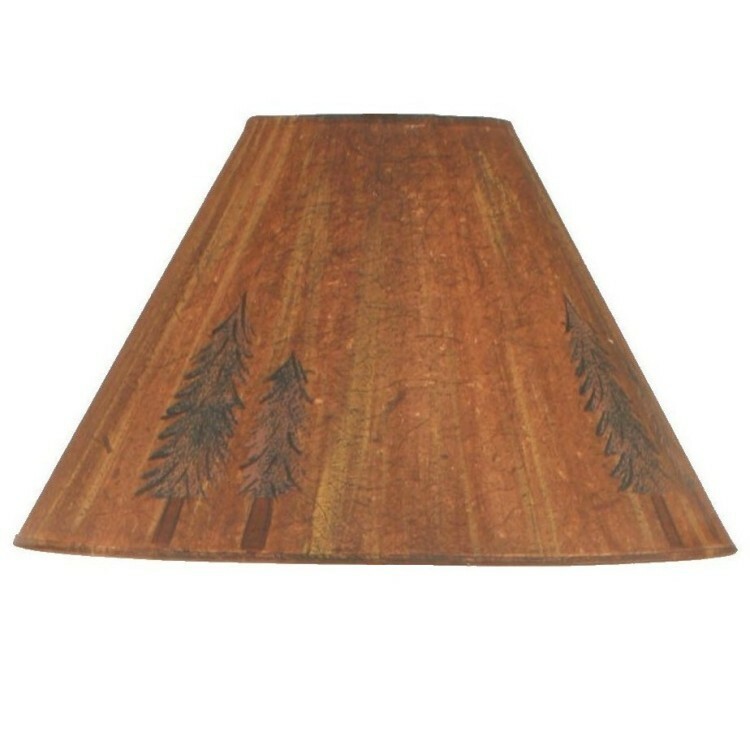 These parchment Pine Tree Lamp Shades have a vintage look and are hand painted with pine trees, they will add a rustic look to your decor. Made in the USA. These parchment Pine Tree Lamp Shades have a vintage look and are hand painted with pine trees, they will add a rustic look to your decor. Made in the USA. Please allow approx 7-10 days for shipping.